CHAMPAGNE FLOATS are the perfect sweet treat for Valentine’s Day! Only two ingredients! 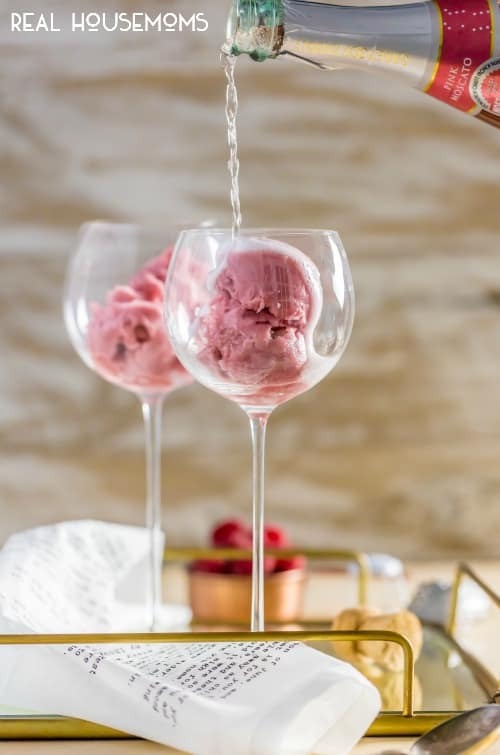 Whether you’re celebrating Valentine’s Day, baby showers, or even wedding showers, Champagne Floats are the perfect dessert to wow your guests or loved ones. These easy and very pretty cocktails are easy to make (only two ingredients!) and delicious. 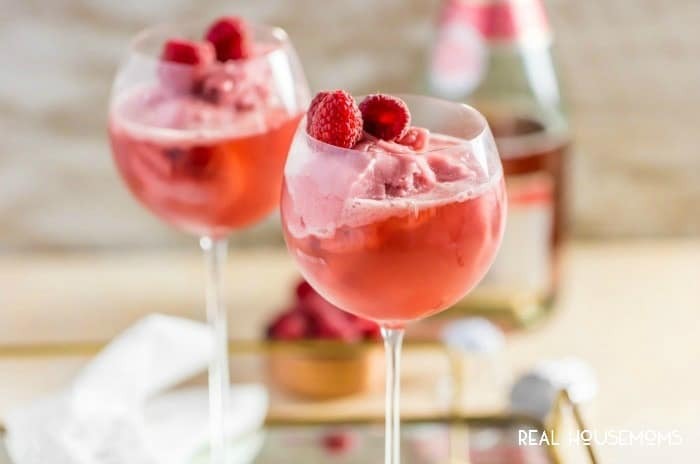 The fruit flavors from the sorbet melts into the champagne, and the result is perfection! You could make these with any flavor sorbet to make these the perfect color for any occasion! Lime for St. Patrick’s Day. Cantaloupe for summer. The possibilities are endless. Just change out the pink champagne for a brut or extra dry variety. 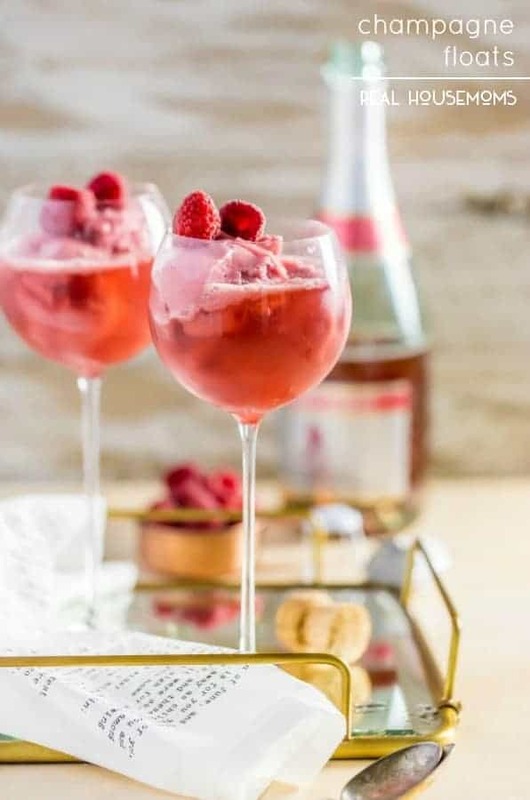 Prosecco works wells too, or if you want your cocktailon the sweet side use some Asti instead! One my other favorite sorbet flavors for this cocktail is lemon. It’s so bright and refreshing. It also makes a great dinner party palate cleanser. Cheers! CHAMPAGNE FLOATS are the perfect sweet treat for Valentine's Day! Only two ingredients!